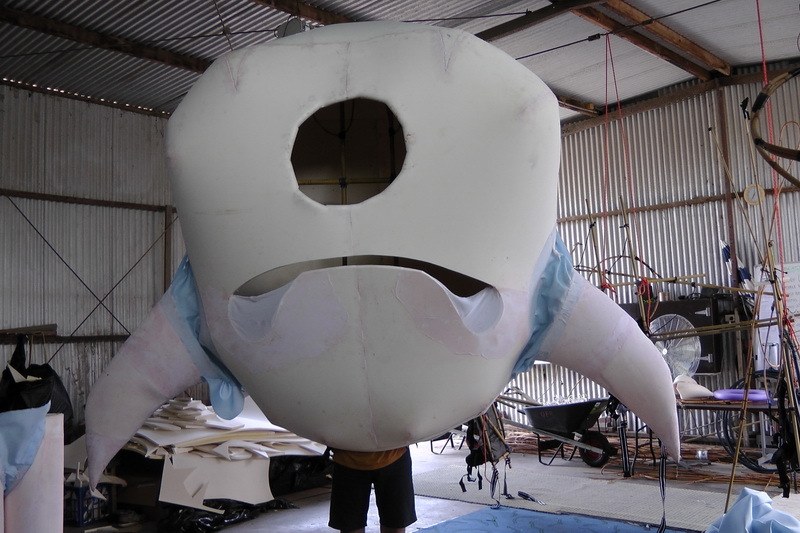 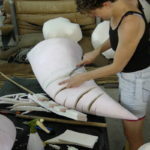 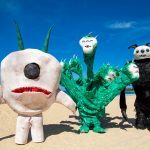 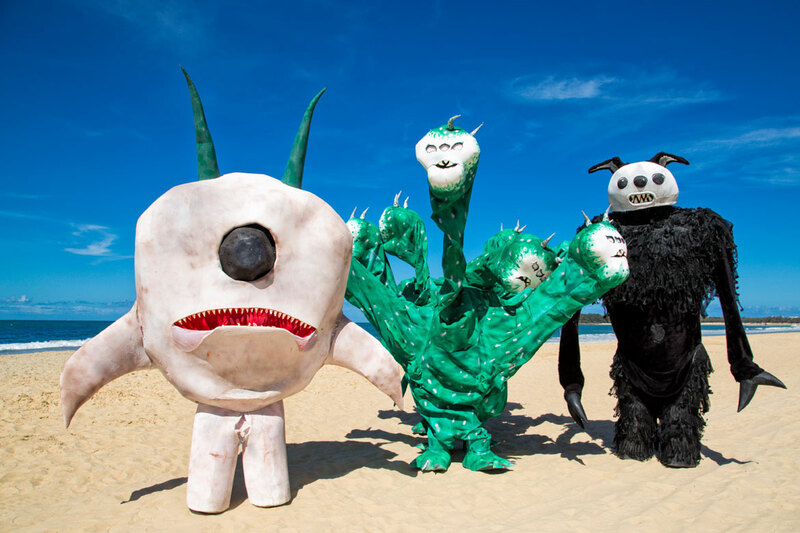 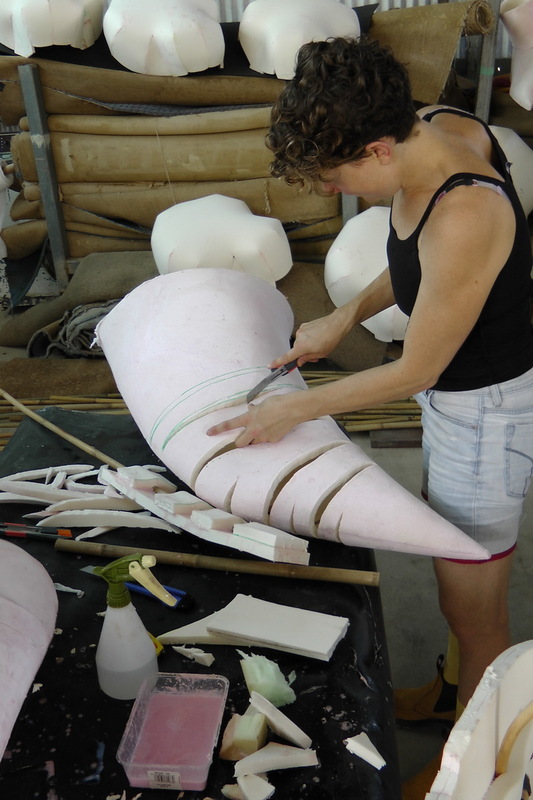 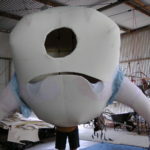 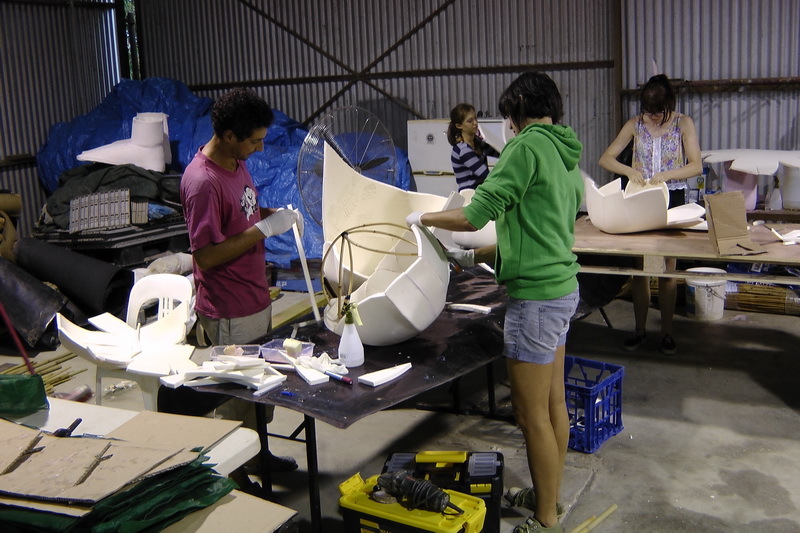 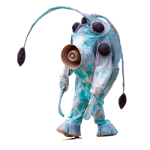 The Monsters workshop has been realised with by a partnership between Queensland University of Technology and Woodford Folk Festival. 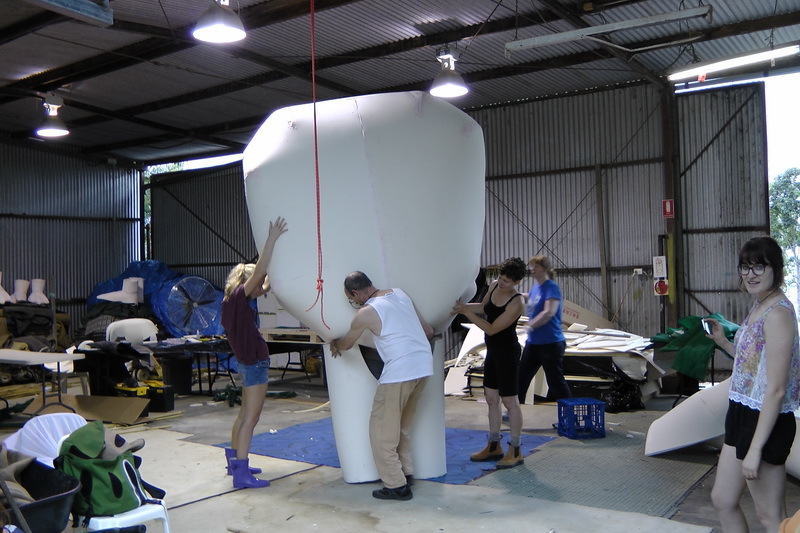 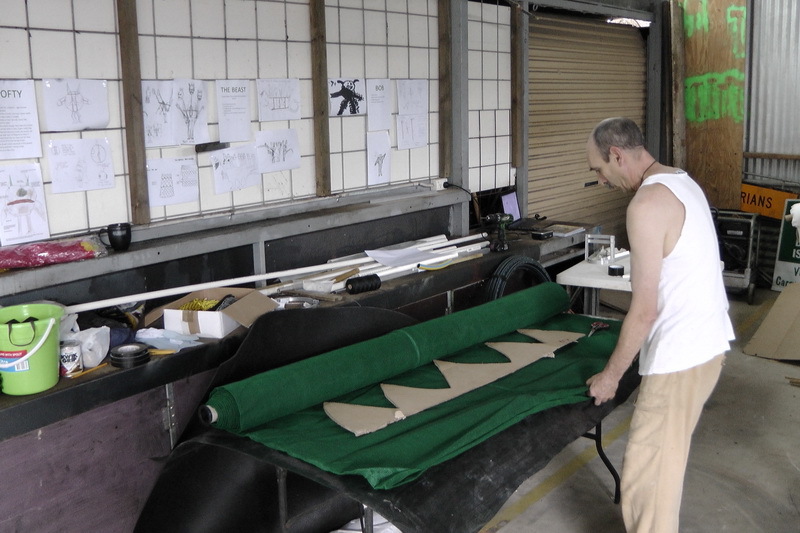 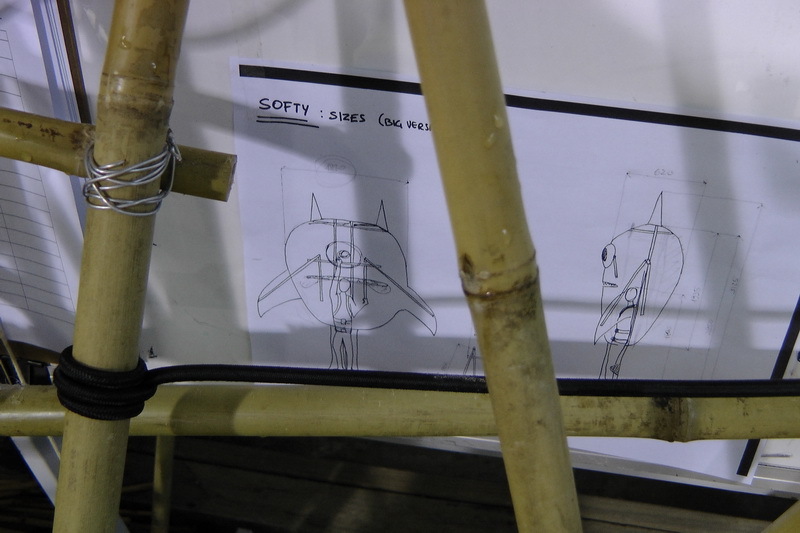 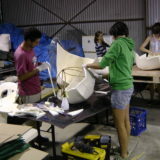 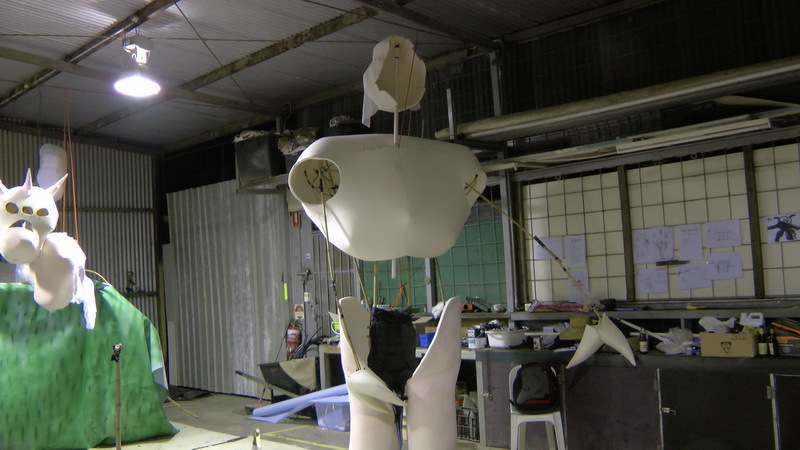 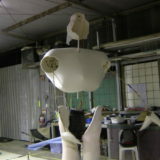 Daniele facilitated the making of the monsters with a group of 12 QUT students over 2 weeks. 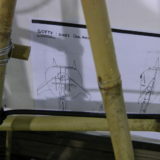 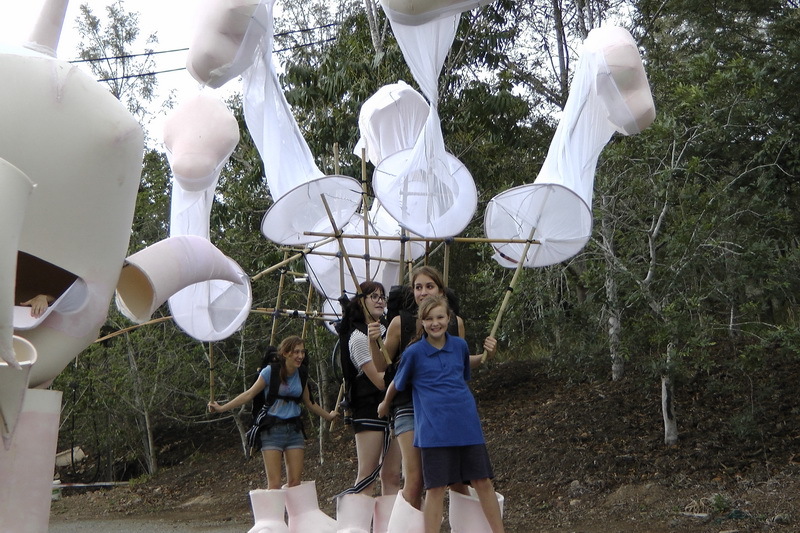 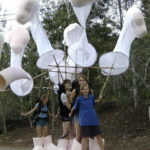 The puppets appeared in the subsequent editions of the Woodford Folk Festival for three consecutive years.